This NLP Course will take your interpersonal skills to a new level, unlock your full creativity and productivity, and give you more satisfaction from your work. On our two-day Foundation NLP course, you’ll begin a stimulating and fun process of self-development in the areas of communication and goal-setting. 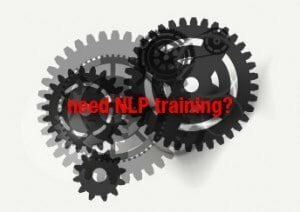 You will also gain a strong base in the principles and practices of NLP, putting you on the path to becoming an excellent practitioner. Communication, creativity and goal achievement are some of the most critical elements of a successful business. This course will increase your effectiveness and you’ll gain more personal satisfaction from a job well done. Many participants have reported how much this course helps them improve their performance. NLP training is about increasing personal choice. Many people are unaware of the choices available in their personal life. This course will show you how to increase your creativity and develop stronger and more satisfying interpersonal relationships. Many participants find this course helps them achieve personal goals. The course is ideal for people who want to improve what they do. It provides a safe environment for you to open your mind to new approaches and new ideas and to discover what really works for you. You’ll gain an understanding of the fundamental attitudes, methodologies, and techniques of NLP. You’ll learn new communication and goal-setting skills, and strengthen your ability to manage and contribute to change. Develop the confidence to take action whenever you need. Unlock your ‘inner resources’ to support you when the going gets tough. Build instant rapport based on trust. Ask better questions to gain an in-depth understanding of others’ motivations. Understand a set of ‘core beliefs’ that will enable you to get the best from others. Develop ways of thinking about what you want so that your outcomes become compelling and easier to achieve. Develop ‘core beliefs’ that will give you more choice in any situation. Use timeline techniques that will enable you to plan and develop new courses of action. Identify the states that are most conducive to learning. Lead and manage your own and other people’s states. Set goals so they are easier and more fun to achieve. Use questioning techniques to uncover real motivations, needs and desires. Discover the influence of unconscious communication.